Steeped in glorious history, this former Abbey founded in 1150AD is host to a Murder Mystery for 2018. Head back to the 1940s and help solve a murder! Many buildings of this hotel boast an interesting life with ties to King Henry VIII and the dissolution of the monasteries as well as the Gunpowder plot and Royalty. The evening will take place in the mysterious Abbeygate with its suits of armour, tapestries and stone flagged floors. Meet your fellow sleuths and other guests as we try and solve a murder. It is 1942. Coventry has been ravaged by bombings, and Coombe Abbey is a convalescent hospital for wounded soldiers. In order to raise the morale of the patients and staff, the doctors have arranged for some entertainment from Ena Gladstone, the popular forces sweetheart. But when one of the patients dies in suspicious circumstances, all manner of questions are raised. Can you solve the crime and find out whodunit? The Coombe Abbey Hotel is located 4 miles from the A46, close to Junction 2 of the M6 and approximately 5 miles from Coventry station. Parking is available for a small charge. Nestling in the beautiful Warwickshire countryside within 500 acres of parkland, this unique hotel offers the Garden Room Bar and Restaurant in addition to its fabulous banqueting hall. The stylish crown bedchamber amenities include a TV, tea/coffee-making facilities, iron, hairdryer and internet access. 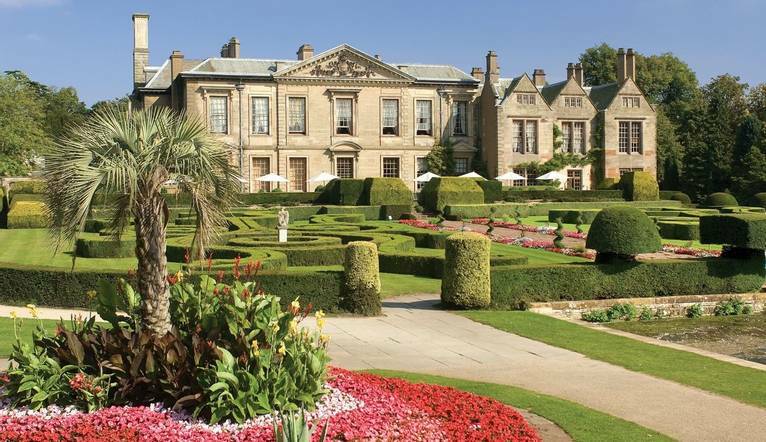 Coombe Abbey Hotel is located 4 miles from the A46, close to Junction 2 of the M6. The hotel offers car parking for a small charge. Coventry Station is approximately 5 miles from the hotel. Dress will be casual for most of the break. However, gentlemen are requested to wear a shirt and tie for dinner. 1940's costume is welcome but entirely optional. Remember your swimwear should you wish to take advantage of the leisure facilities.